Ladies and gentleman, your new Birds of Prey. Margot Robbie’s Harley Quinn is the headliner in the planned Birds of Prey movie, but who will join her for the ride? A new report suggests some fan-favorite DC Comics characters. 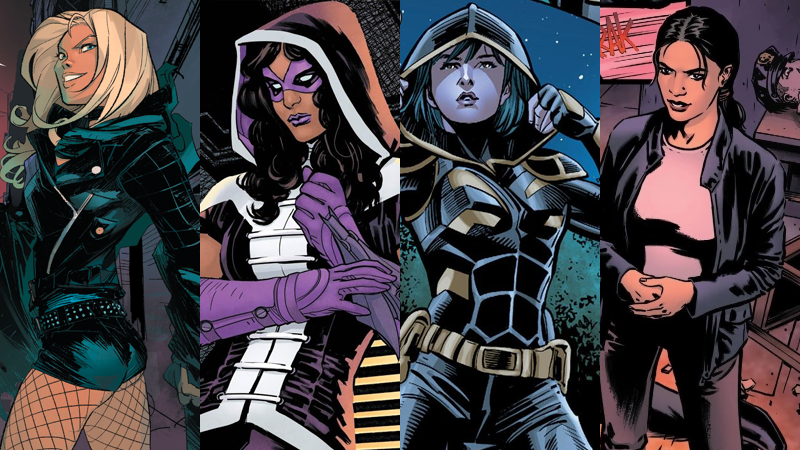 According to The Wrap, Cassandra Cain (who held the Batgirl moniker for a while in the comics), Black Canary, Huntress, and Renee Montoya (otherwise known as the Question) are the DC characters who’ll be joining Harley in the film. We previously learned this follow-up to Robbie’s time as Harley in Suicide Squad would be written by Christina Hodson and directed by Cathy Yan. io9 has reached out to Warner Bros. for clarification and will update if we hear. The same story claims the film’s villain will be a Batman rogue that has never been on the big screen before. This is all very intriguing and exciting for DC fans who, in recent days, have begun to see the DC’s film universe expand in some exciting ways. There was the first look at Shazam, new info on Aquaman, confirmation of a Joaquin Phoenix Joker movie (which will be unrelated to the others), and now, further development on the Birds of Prey film that’s been in the works for a while. Robbie recently said production would begin early next year. What do you think of the character choices here?